Namit Goel, head of research and operations at Ken Research, reveals how and why 90% of India’s aviation maintenance, repair and overhaul industry is outsourced abroad, and what can be done to bring business back home. The aviation maintenance repair and overhaul (MRO) industry in India has been growing at a fast pace with the development of India’s commercial aviation fleet, increase in flight utilization and, auxiliary government reforms. So why is India still unable to quantify 90% of its potential in this sector and contribute a higher share in GDP? 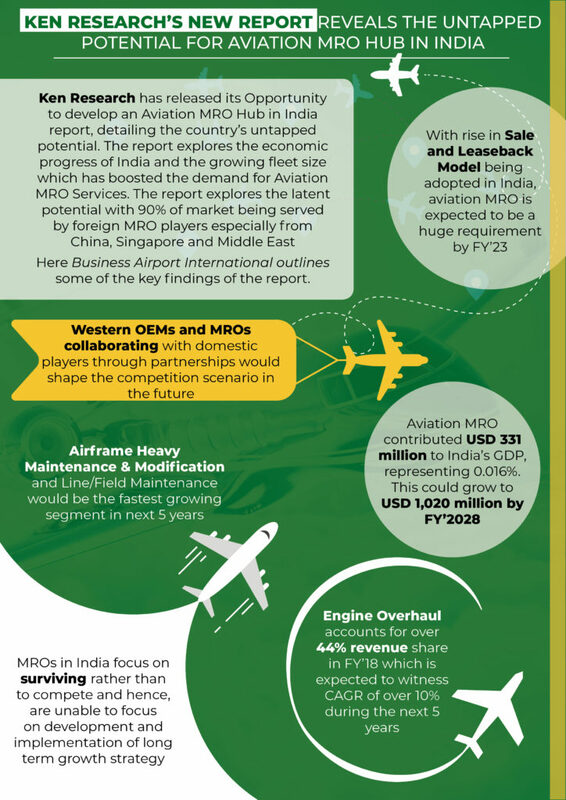 The MRO Association of India has been constantly lobbying the government to propel constructive developments for this sector. The organization actively pushes the government to see MRO as an opportunity for national growth. Various positive changes have occurred recently, including an increase in the number of days an aircraft can be kept in India from 15 to 180 without requiring permission, which otherwise required cumbersome licensing and approvals. Moreover, to address the issue of loss of revenue, the regulators have now allowed planes with passengers to come for operations within the country. Coupled with an increase in the Indian aviation fleet by more than 50% in the last five years and an increase in air passenger traffic with major airlines flying more than 13-14 hours a day, there is a direct increase in the average number of maintenance cycles being undertaken. The frequency of day-to-day field checks has expanded multifold. 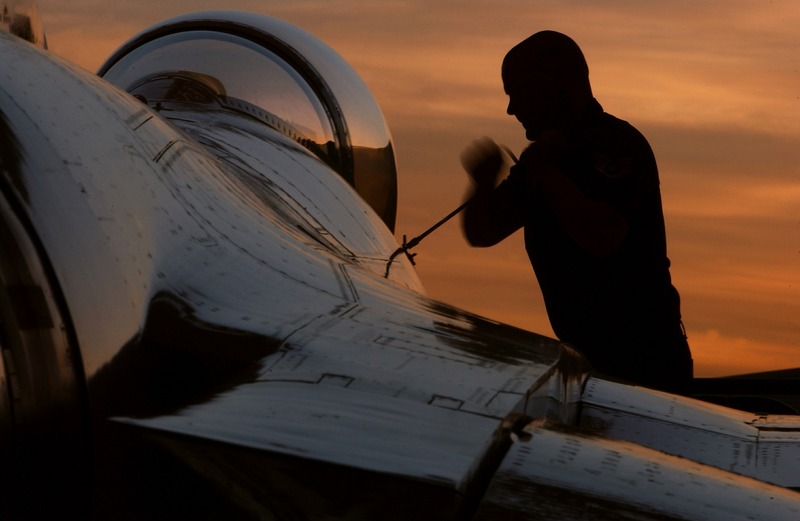 Technological development has given rise to faster flights requiring higher maintenance checks to ensure safety and airworthiness, which has driven growth. With all these provisions in place, the number of hangar facilities has increased substantially in the last few years. Although the policy is not where it should be, the government has taken up various initiatives and has liberalized regulations for this industry. ‘A lack of equipped engine and component overhaul facilities is responsible for more than 90% of work being sent abroad.’ The pertinence of this statement can be analyzed by fragmenting how major engine and component overhaul work is outsourced abroad. The majority of India’s fleet consists of narrowbody aircraft – widebody aircraft are mainly operated by Air India and Jet Airways. Major commercial airlines in India send widebody aircraft overseas since there is currently no third-party facility capable of providing this service in the private sector in India. Due to the lack of engine shops, this segment’s demand is largely catered to by foreign MROs. It is the largest component of MRO in terms of value due to the large costs involved. Similarly, there is no major component overhaul facility in India. Air India has a humongous facility in Mumbai and Delhi, but no third-party work is being undertaken in those units. Hence, the majority of services, especially the ones demanding very high value, are sent abroad, narrowing the potential of this market within the domestic territory. Another, bigger, question is: Does the Goods and Services Tax (GST) pose the biggest threat? The imposition of GST has been the biggest obstacle for expansion within this sector since it directly augments the cost of operations by 18%. For instance, for domestic companies, there is a GST implication of 18% for MRO services within India. If the same entity approaches MRO companies in Singapore and the Middle East, the tax charged is 5% or less. Indian taxation structures are to be blamed for being so complicated and expensive that even Indian players readily send empty aircraft overseas for MRO work. Hence, heavy taxations have been the biggest rival of the industry by increasing operational costs and making it non-viable for domestic entities to complete with international players. Where is the future positioned? Ken Research analysis suggests that the Indian government must not rely on heavy taxation to generate funds but to increase infrastructural development, making investment more attractive and thereby letting more domestic and international players enter the MRO market. This would bring in further possibilities of market development. The provision of tax holidays, changes in GST structure and enhancement in the ease of doing business are the changes we expect from a regulatory point of view that will see market growth of almost 11% CAGR by the end of financial year 2024. Bio: Namit Goel is director, research and operations, at Ken Research. He is a CFA Charter holder, a blogger and aviation news enthusiast. His team is working closely with some of the chief aviation experts to seek opinion and experts around the general and commercial aviation sector.